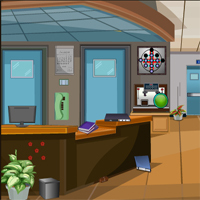 Games2Jolly Castle War 2 is another point and click escape game developed by Games2Jolly team. There was a beautiful kingdom in the lands of ancient India which was blooming with wealth and their army were very mighty that all their neighboring lands feared of. The queen of the Land gave birth to a cute little angel. The king was so proud and happy for becoming a father. He had plenty of love over his child. On an usual day when the child was sleeping a dragonite(dragon like creatures from another planet) came flying into the castle and took the child away. The king tried to stop that but it flew away so quick. Find the King's sword to help him get his strength back and will to rescue his child. Good luck.